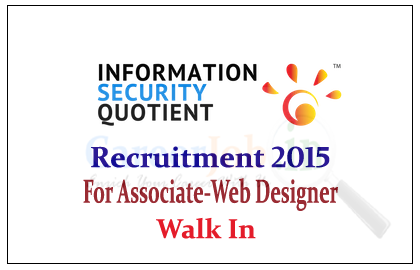 Information security Quotient (ISQ) is recruiting for the post of web and Graphic designer. 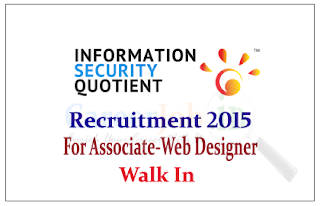 Eligible candidate can attend the walk in Interview on 19th July 2015. Company Profile: ISQ is the Security Awareness and Competence Management brand of First Legion Consulting, an Information Security Management company based in Kochi, India with offices in Dubai, UAE. First Legion was incorporated in the year 2005. How to Apply: Interested and eligible candidate can attend the walk in Interview on 19.07.2015. For more details kindly check official notification. · College ID/Any other Photo ID.